One month ago today was Christmas Day and it just so happens that we have just polished off the last of the Christmas cookies this morning. The preparation for Christmas is so much fun. Now I am looking back only four weeks later and wondering where the time went. I won’t be making these little guys again until next December but in honot of a lovely holiday, I will share it is similar to gingerbread, but better. I remember my Spanish husband initially having doubts about this recipe because he is not used to the flavours. Ginger. Cardamom. Cloves. Cinnamon. Not typically found in the Spanish kitchen. But I decided to make them anyway. And to my delight…he loved them! I found this recipe years ago. Heat the honey, butter and sugar in a pan over a low heat until the sugar has dissolved. Put the mixture into a large bowl and leave to cool. Add the flour, almonds lebkuchen spices, cocoa powder and the egg to the honey mixture and mix together thoroughly. Dissolve the potassium carbonate in 2 tablespoons water and then add to the lebkuchen mix. Knead thoroughly. The mixture should not be sticky now. If necessary add a little flour. Wrap the dough in aluminium foil and leave overnight in a cool place. Knead the dough again and roll out on a floured surface to 1/2 cm thick. Cut out shapes with cookie cutters and place on a baking sheet prepared with baking paper. Bake in the middle of the oven for about 15 minutes. 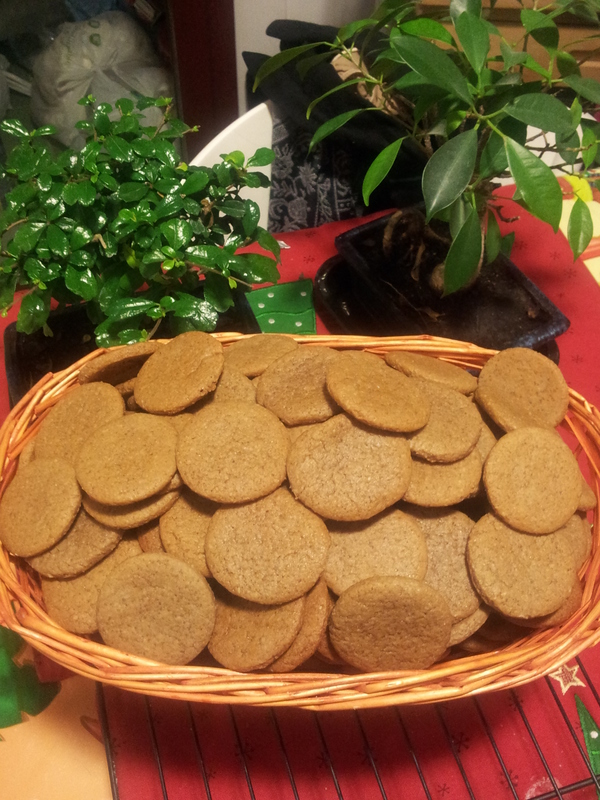 You can keep your lebkuchen in a closed cookie tin for many weeks. It is important that once baked the lid should not be tightly closed for a few days until the lebkuchen has softened. Placing a piece of apple in tin helps keep the lebkuchen chewy. Replace the apple with a fresh piece after 2-3 days. Pack your lebkuchen cookies in pretty christmas tins and give to friends and family to enjoy during the holiday season.